Someone just forwarded to me an email that went (apparently) to all Appalachian State University faculty and staff from Chancellor Sheri Everts, urging everyone to vote for the "ConnectNC" bond issue that will be on March 15 primary ballot in North Carolina. No offense, Chancellor Everts, but I intend to vote "NO." It's a dishonest bond issue. Gov. Squishy is promising no tax increase whatsoever to pay for it, because, you know, Republicans are so great with money that they can -- presto! change-o! -- borrow $2 billion without paying for it. Well, they will have to pay for it, but The Guv and his guys & gals in the General Assembly will do so by "reallocations" within the budget, moving more money out of education or other budget lines that don't much matter to them. We'd like to see infrastructure projects of all kinds all over the state, but we'd also like to see honest revenue streams to pay for them. This bond is not honest in its hocus-pocus. As Ned Gardner points out in the N&O, highway construction projects were originally included under ConnectNC (roads connect people -- get it? ), but the General Assembly decided to pull out highway projects and actually fund them with a revenue stream. Who's supplying the revenue stream? You and I, with increased gas taxes and increased DMV fees (up by 30%). Are you paying attention to what they're doing? While sheltering the very rich from any unnecessary tax "pain," they're shifting more and more of that pain onto the middle class while continuing to drain money out of vital government services, like public education. already the most heavily taxed state in the union, now we are presented with yet another tax for approval. If you believe this bond issue, if it passes, can be paid for without a tax increase then I have some of that proverbial ocean front property in Utah I would like to sell you. 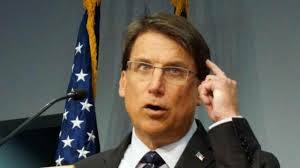 When we elected McCrory and the republican legislature I thought we were through with more taxes for awhile. I was very wrong! Even though part of the bond money will go to ASU I will vote NO. We have to stop somewhere, even if a desrving recipient has to do without. "already the most heavily taxed state in the union"
Can you provide a source for this claim? Every site I find where states are ranked for tax burden, NC falls in the lower half and less than the national average. I agree with you on one point - I will strongly oppose the bond issue. But, not by arguing my position by pointing to inaccurate data. I wonder if the shoe was on the other foot, Mr. Williamson; that is, if the governor and legislature were of your political persuasion, how would you feel ? Still waiting for response from RINO Wilson. Please Mr Wilson, share with us your source and supporting data that says that NC is the most heavily taxed state. I guess that's what happens when you make up your own "facts" and then get challenged on them. It looks as though Mr Wilson is as irresponsible with the facts as he was when he was District Attorney. Thank GOD he's no longer in that position.